Mink, a Buzzards Bay 25, was one of five boats of its kind designed and built by Nathanael Herreshoff in 1914 for members of the Beverly Yacht Club of Marion, Massachusetts. When Mink’s latest owner, Brad Baker, acquired it, he asked MP&G Wood Boatbuilding and Yacht Restoration in Mystic, Connecticut, to restore the boat to exactly the same condition as when it was first launched. The work was completed in 2014, and Baker has continued to race the historic boat. He debuted the restored Mink at the 100th anniversary of the Herreshoff Classic Yacht Regatta in Bristol, Rhode Island, in August 2014. 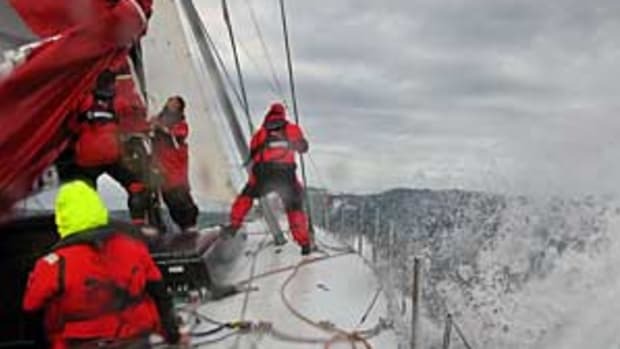 The boat has since been spotted racing at events that include the Museum of Yachting Annual Classic in Narragansett Bay, the Panerai Classic Yacht Challenge and the Newport Classic Regatta.